9" A/O Sanding Disc, 220 Grit PSA, 2 pk. Woodstock - 9" A/O Sanding Disc, 220 Grit PSA, 2 pk. 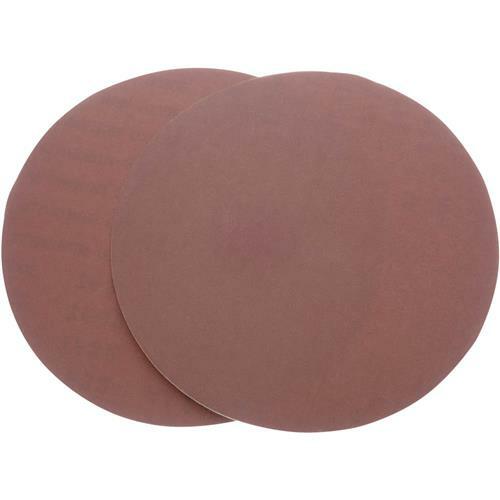 These 9" diameter 220 grit aluminum oxide sanding discs are sized to fit most common disc sanders and are sold in a 2 pk. These sanding discs are pre-applied with top-quality pressure sensitive adhesive. I usually have to apply spray adhesive to the backs of these discs to get them to stick to a clean platen. They sand great, but seem to need this extra bit of installation prep.